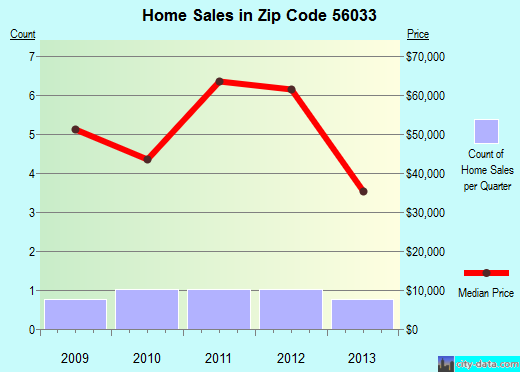 Faribault County (pop. 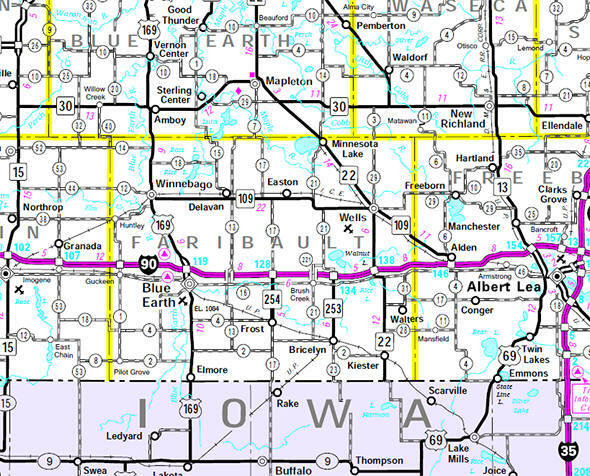 14,553) is just east of Martin County, on Minnesota’s southern border with Iowa. Faribault County’s population reached its peak of 23,941 in 1940. The county seat of Faribault County is Blue Earth. 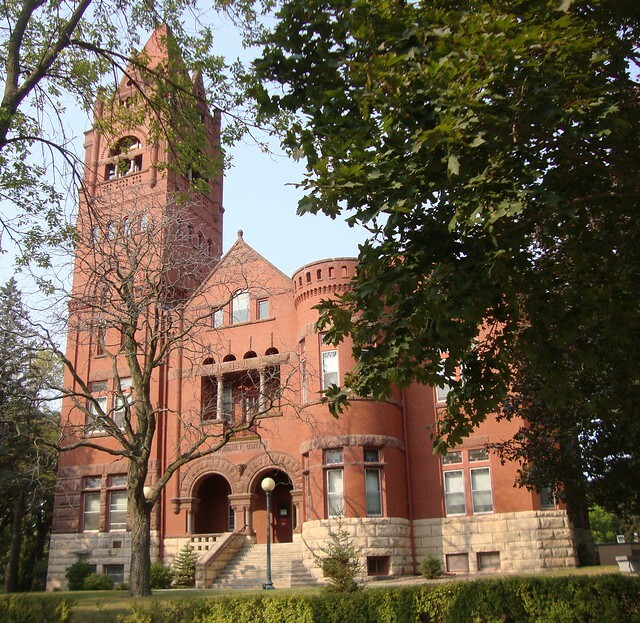 The city of Faribault is the county seat of Rice County. The county seat of Blue Earth County is Mankato. Blue Earth County is north, and Rice County is northeast. The city of Blue Earth (pop. 3,353) is on the Blue Earth River. Blue Earth has a 55-foot statue of the Jolly Green Giant, installed in 1979. Construction of I-90, the longest Interstate highway in the U.S. (from Seattle to Boston), was completed in 1978 near Blue Earth. A plaque and a “Golden Stripe” commemorate the event. 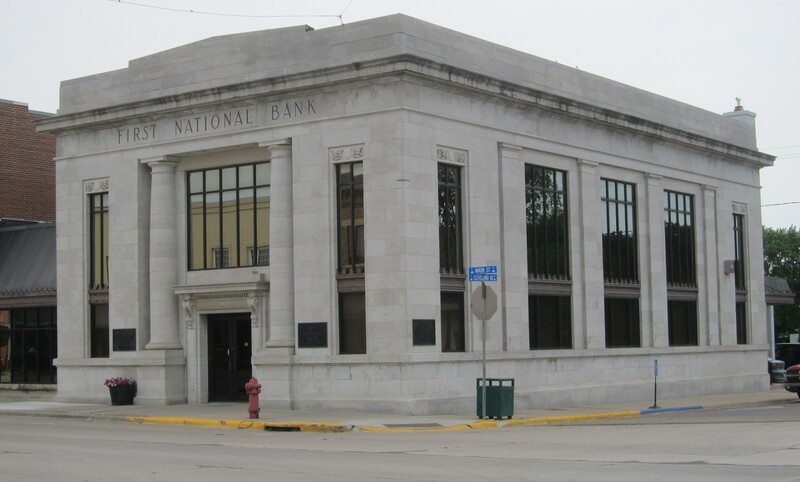 The former First National Bank in the town of Winnebago (pop. 1,437) is on the National Register of Historic Places. The town of Frost (pop. 198) was not named for ice crystals; it was named for Charles S. Frost, a Chicago architect. This entry was posted in Minnesota and tagged Blue Earth, Faribault County, Interstate 90, Jolly Green Giant. Jim Davis (riding in the back seat) was first to enter Minnesota on that trip because Daddy turned the car around and backed across the MN/Iowa border.